Faithful colour Giclée prints on handmade paper. To produce a superb fine art copy of an original artwork needs considerably more than just the purchase of an inkjet printer and calling yourself a giclée printer....as many have found to their cost, and sadly to the cost and frustration of their clients! The word giclée has become a rather discredited term, used for any print made with long life inks on papers with attractive sounding names ….. but is meaningless. Top quality fine art prints can only be produced from top quality digital files...you may have seen what we use to do this. If files are to be prepared from film, please refer to our drum scanning section. Pictures copied using a normal digital or film camera are not going to be suitable, and even the very best flatbed scanners have too many limitations. We make prints on a choice of superb 100% acid free, neutral pH handmade papers and canvases, meeting or exceeding the standards set by The Fine Art Trade Guild. Only archival quality pigment inks are used at Artisan for our fine art printing. We welcome all your questions and are always more than happy to devote the time to talk over your project large or small in whatever depth you wish.....just ask! 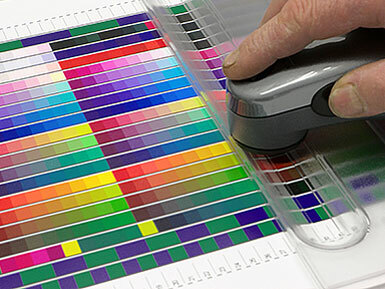 Accurate printing profiles are essential when making quality fine art prints. We do this work in-house for our own use and for other print makers.